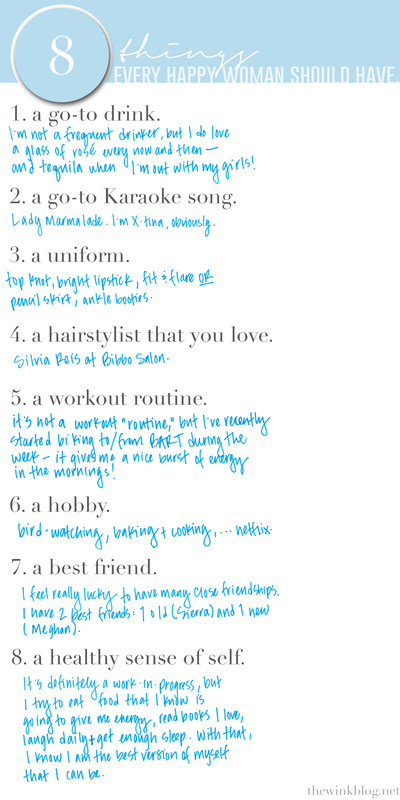 I’ve seen this list circulating around on a few blogs, so I thought it would be fun to put together my own answers. These answers are a reflection of my personal likes, dislikes, and tastes at this particular point in my life. It will be interesting to see how my answers change over the years! What are your 8 things? I guess it’s no secret that I love a good, quirky piece of clothing to add diversity to my wardrobe. 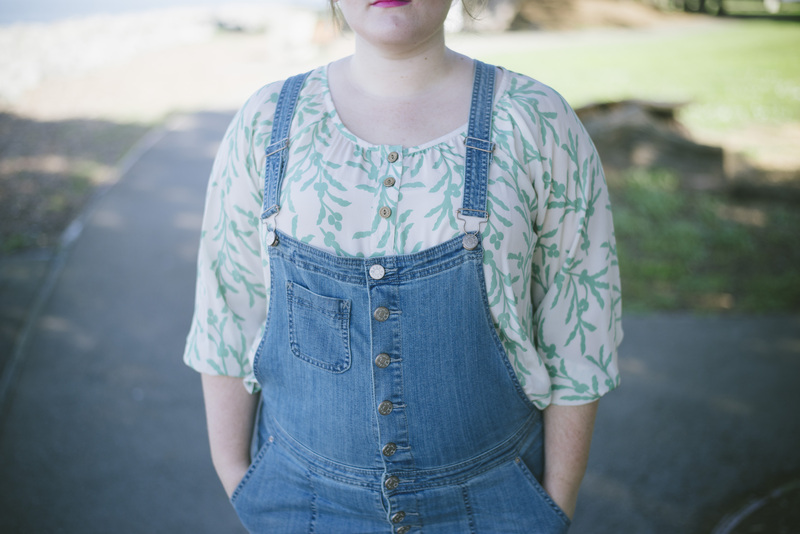 I think we can all agree that there’s not much quirkier (or more difficult to style) than a pair of overalls. It can be easy to look too childish (Oshkosh B’gosh, anyone? ), or too frumpy in them (making pottery in a garage, barefoot). I’ve had these overalls in my closet for about 6 months and have worn them a surprising amount of times, remixing my outfit every time I wear them. 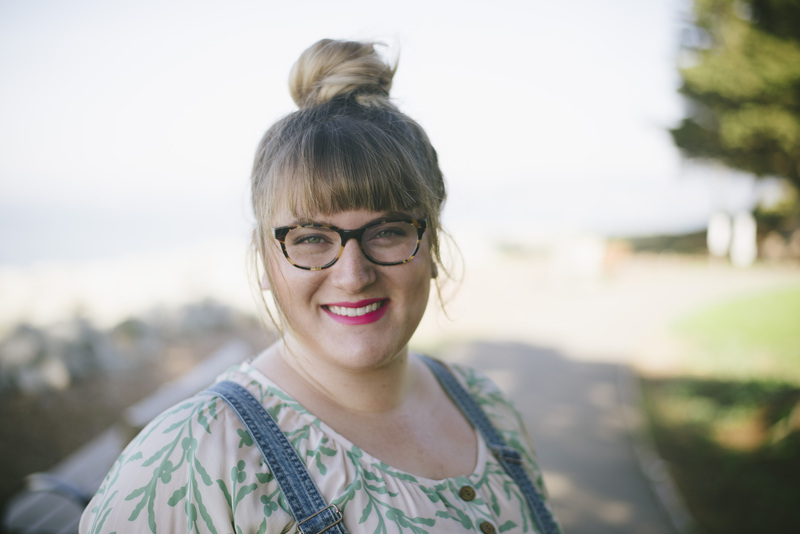 I decided to dust them off this past weekend for a quick photo sesh at Marina Park in Emeryville with Bay Area photog (and all-around awesome person), Leah Bentley. 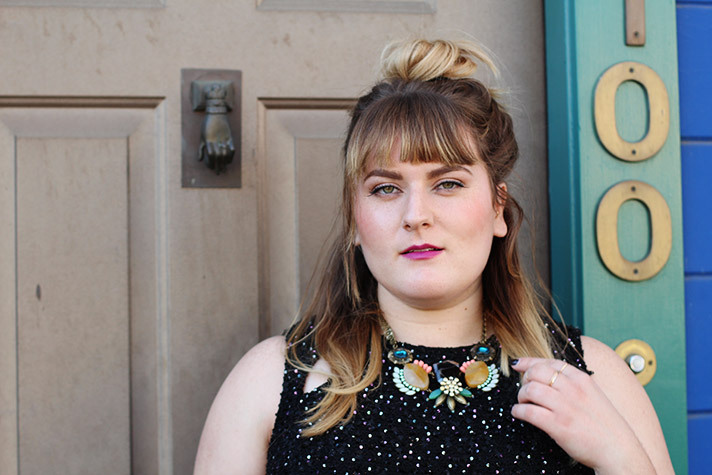 This time around, I styled them with bright pink lips, a patterned silk blouse, and chunky oxfords. I think it might be my favorite look yet! 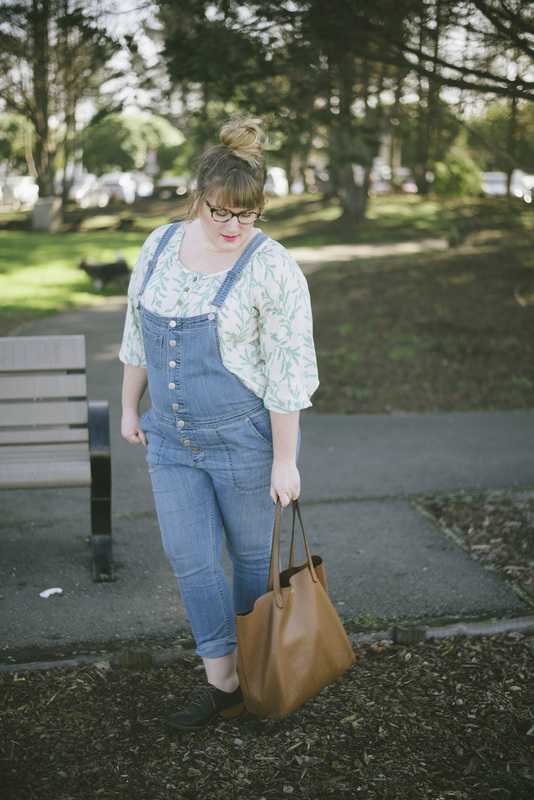 Keep reading for my tips on how to style a pair of overalls! Choose a sophisticated top, like a white linen tee, a silk button-up oxford, or chunky wool sweater. 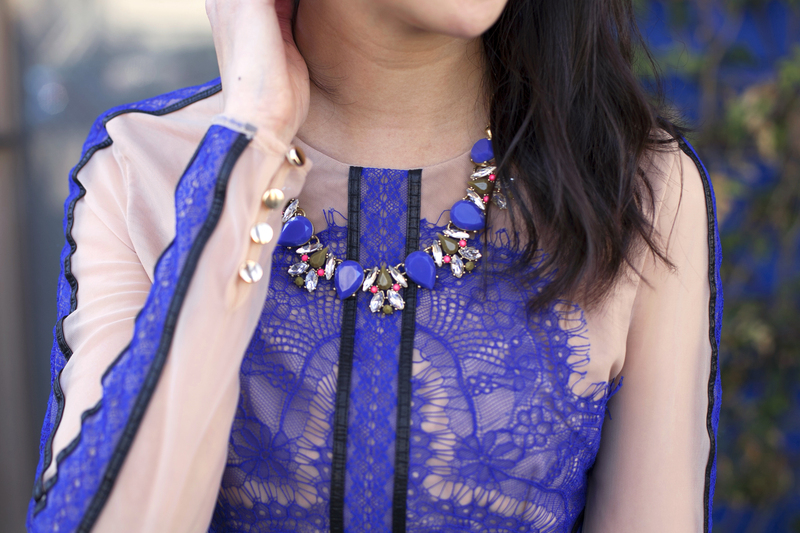 Avoid childish prints or anything too boho. 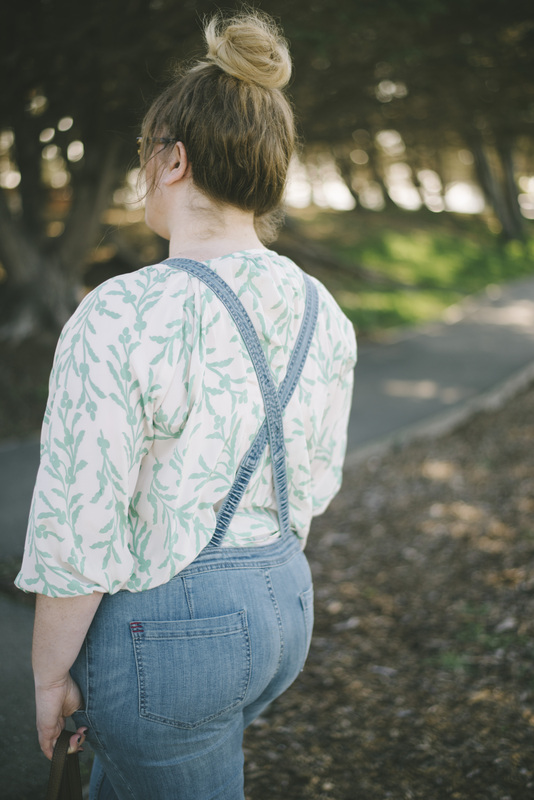 With overalls, fit is everything. Stores like Zara and H&M sell overalls in slim, dark denim that ups the sophistication factor. Make sure to wear your correct size (do not size up) for a current fit. I was going for a looser fit, so I chose these slightly slouchy ones from Urban Outfitters. 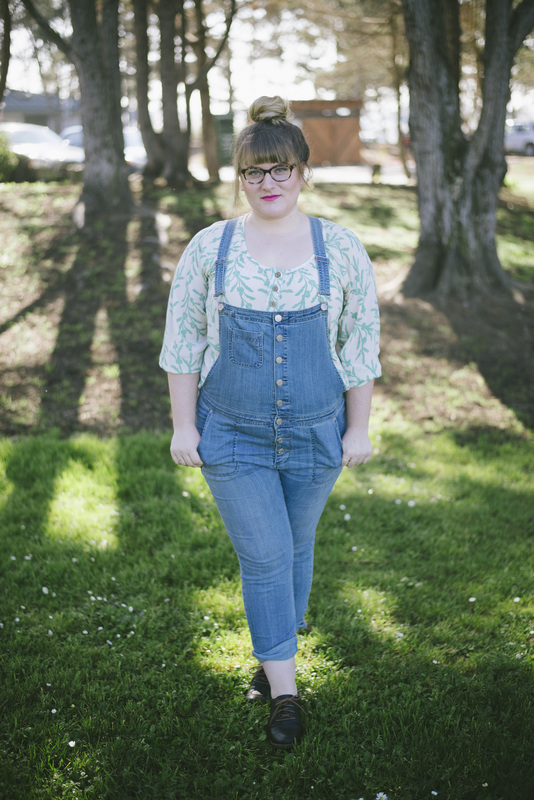 Overalls can cause the illusion of stumpy legs, so choose footwear with a slight heel or tapered toe to elongate your legs. 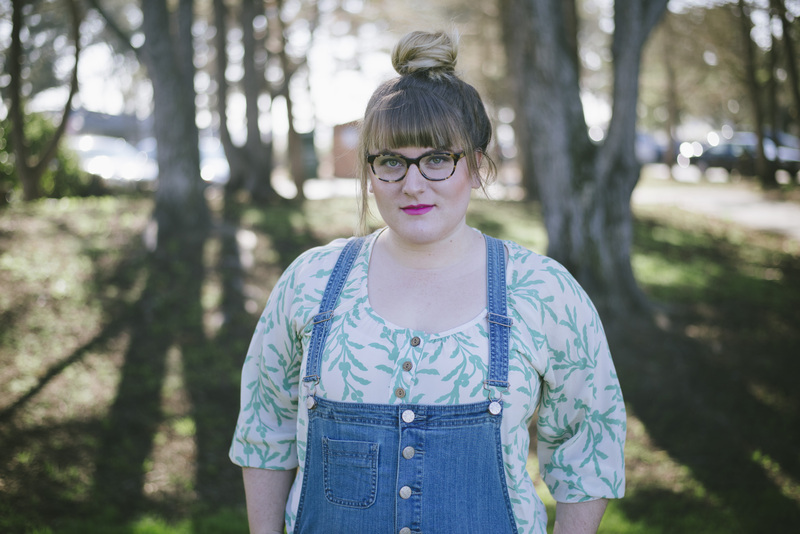 Photos by SF Bay Area photographer, Leah Bentley (p.s. she’s amazing). Happy GALentine’s Day! This year, Melissa of MelSanV, Christina of Closet Luxe, and I got the festivities started a little early and met up a few weekends ago for brunch and a style shoot in the city. 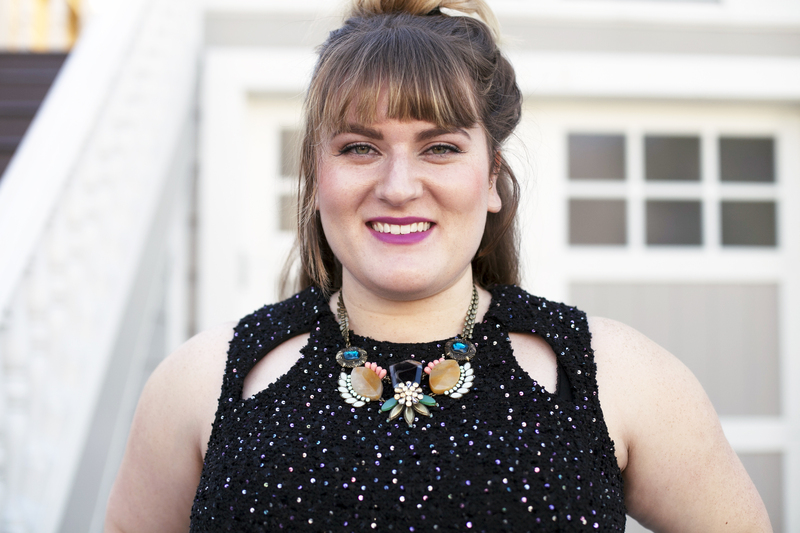 Before our brunch, we headed to the Style Lend HQ to get glammed up. The ladies at Style Lend graciously allowed us try on and select our dress of choice (getting to try on unlimited designer dresses? Hello, #PRINCESSSTATUS!). For brunch, we went to a little place in the Dogpatch called Piccino. The food was divine and the company even better! Galentine’s Day was pretty special this year because I got to celebrate it with these two ladies! We’ve grown close over these past few months. 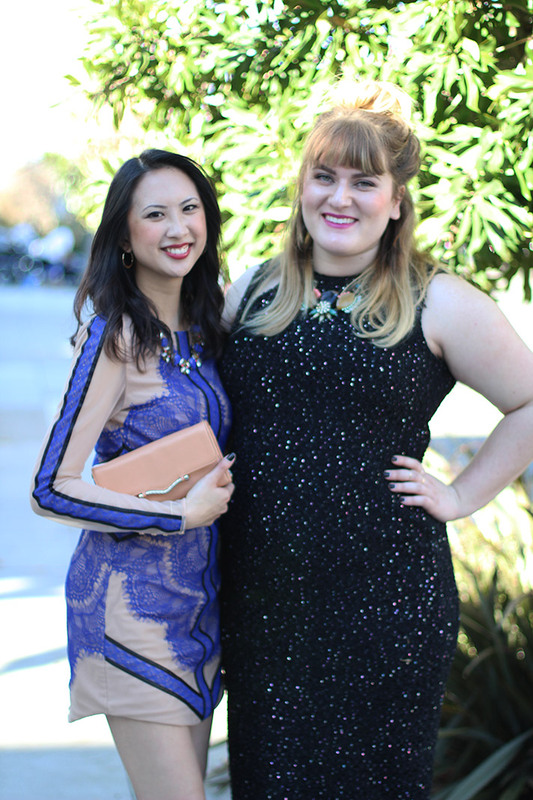 Not only are they amazing and talented bloggers, but they’re also real gals with integrity. Making friends here in SF was a slow start for me, which is why I feel so lucky to have met them – keep reading for our meet-cute stories! 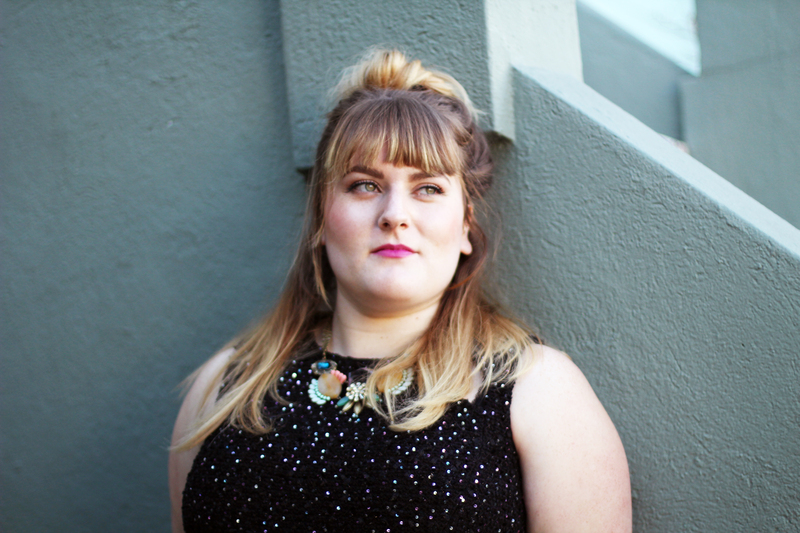 I really loved this Galaxy dress by St. John. 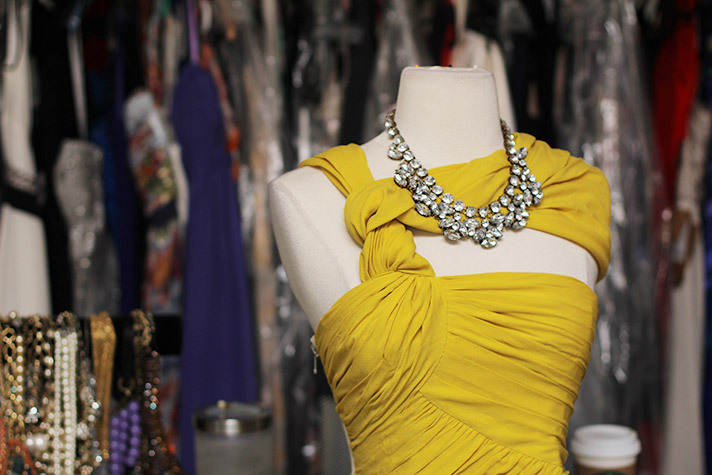 Getting to try on dresses at the Style Lend HQ was definitely a pinch-me moment! 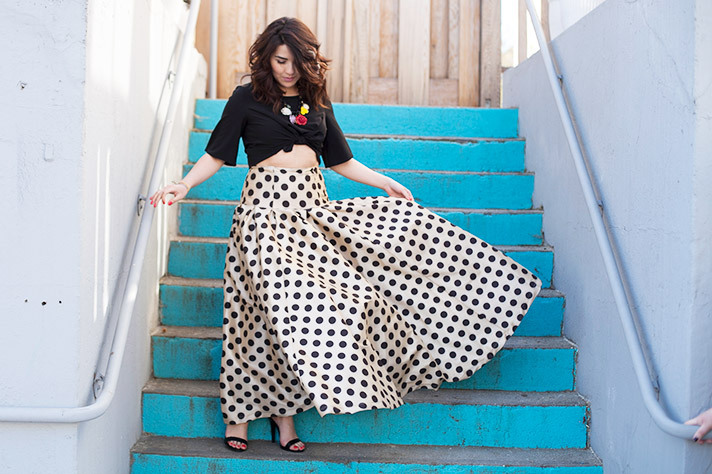 How Carrie Bradshaw does Melissa look in this skirt?! I’m obsessed with Melissa’s chic and edgy style. She’s always willing to try out new styles and trends and rocks to hell outta ALL of ’em. Melissa and I met at PoshFest back in November and by the end of the weekend, we decided that we were friends (LOL). We instantly bonded over being DINKs (double income no kids! 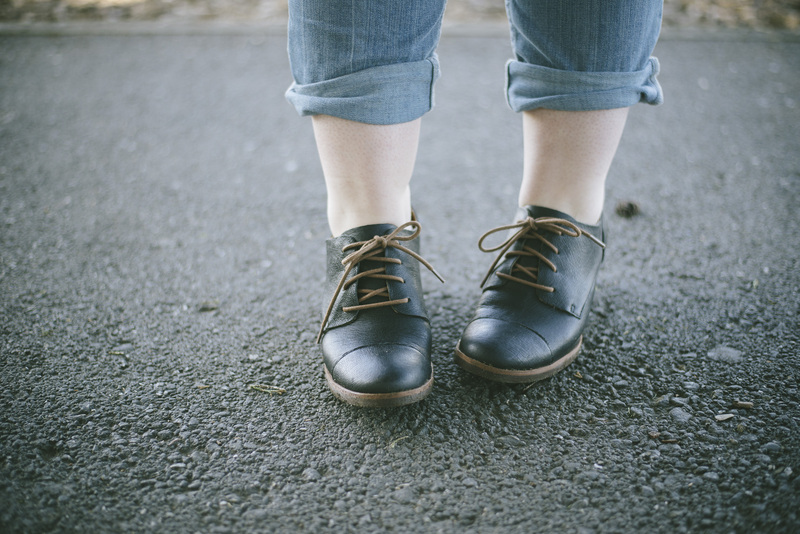 ), our obsession with French bulldogs, and our new West Coast lifestyle. I love this girl dearly!!!! 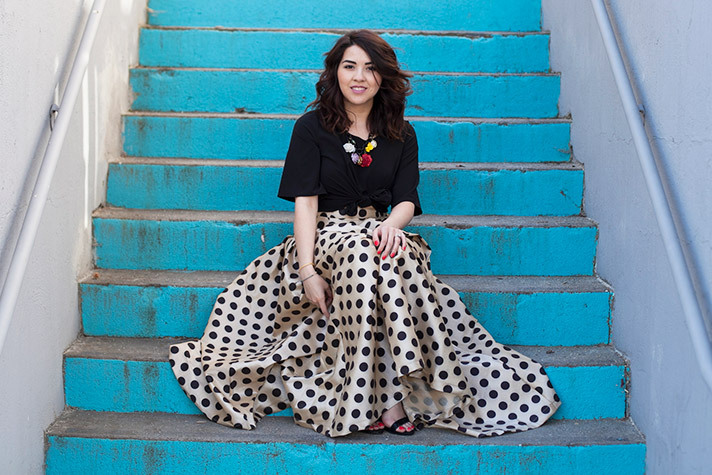 Christina is to epitome of ladylike elegance in this Three Floor dress. 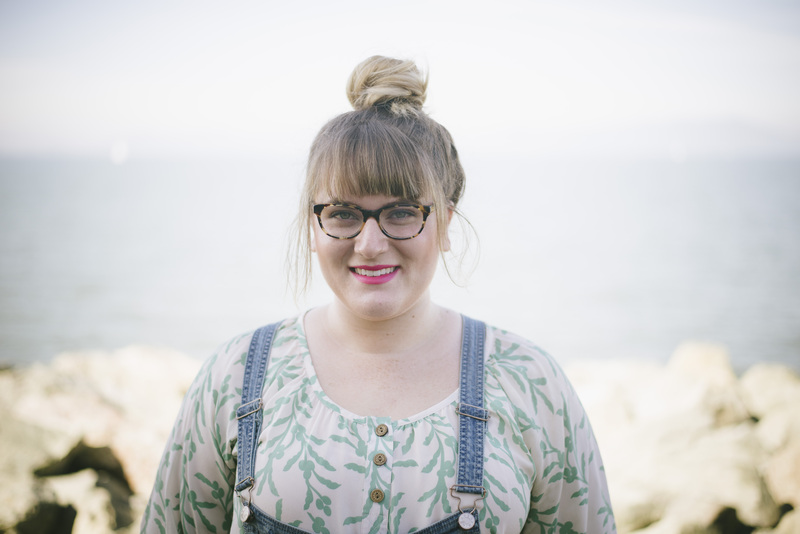 She’s the master of high-low wardrobe mixing and I’m obsessed with her classically polished style! We met at our first #BLOGGERSWHOBRUNCH and became fast friends. And those shoes! Christina has the best shoe collection! Gurl, you’re doing everything right. 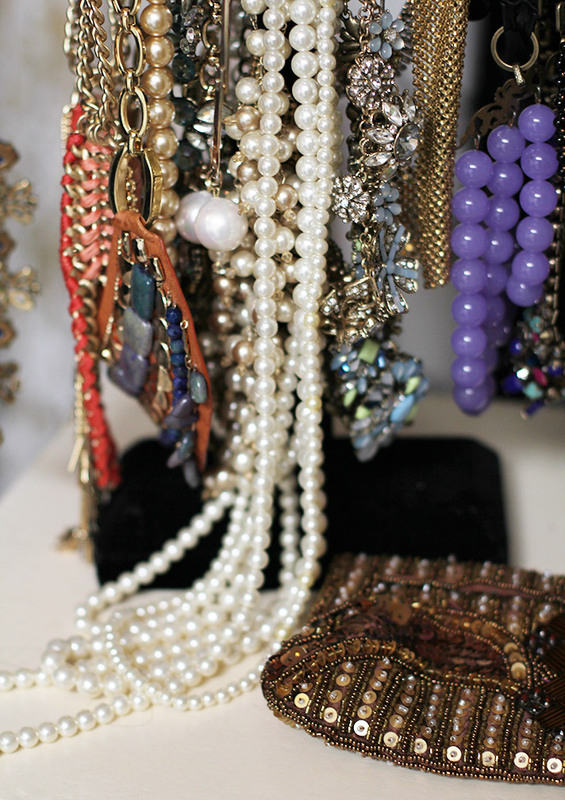 Behind the scenes baubles at the Style Lend HQ! I feel so fortunate to have these wonderful gals in my life! Happy Galentine’s Day to all my friends, both near and far (and some very far!). I love you all!!! 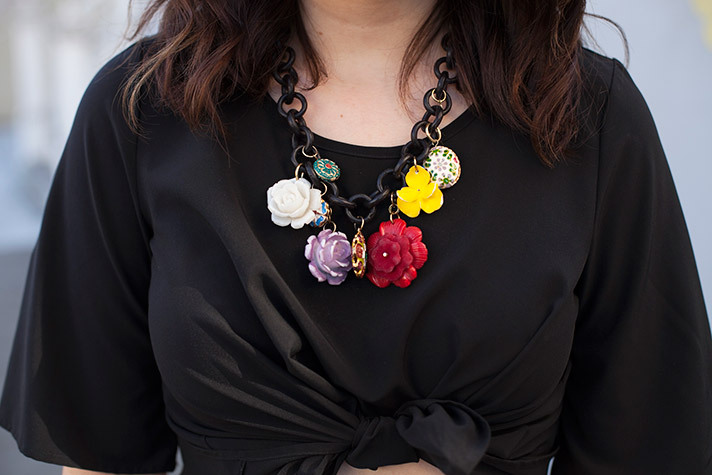 We teamed up with ChictopiaConnect for this amazingly fun style post. 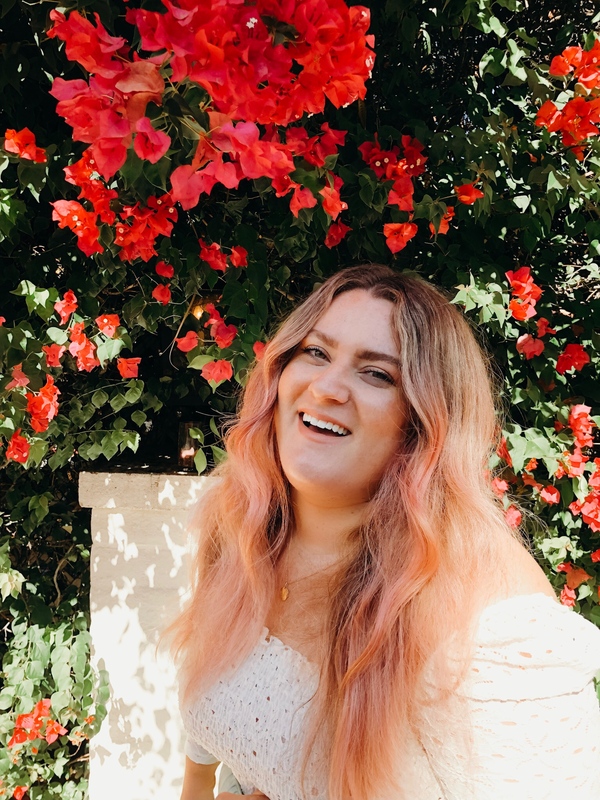 ChictopiaConnect is a style and fashion hub where bloggers and style influencers can be connected with great brands like Tobi and NastyGal. Check out @chictopiaconnect and @chictopia on Instagram and Twitter for more fun! With the New Year in full swing, it’s time to get on top of those resolutions. Green smoothies are super simple to make and super awesome for your insides, and SO much better for you than that morning cuppa joe! You can throw in whatever you’d like, but here’s my formula for a fool-proof and nutritious breakfast! 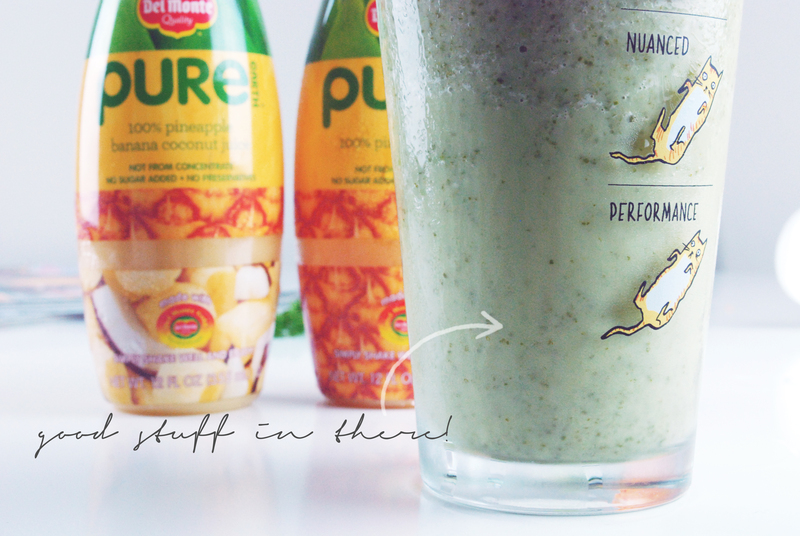 Throw everything into a blender. Give it a quick whizz and you’re done (if the consistency looks too thin, feel free to adjust the ratios as needed)! I’m really loving these new fresh pineapple juices from Del Monte. 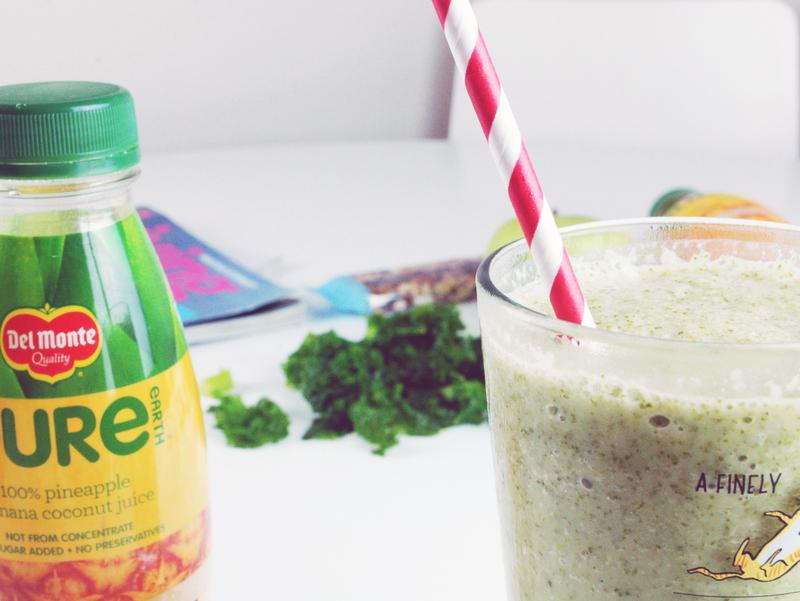 They’re so healthy and they make any green smoothie taste zingy and delish. 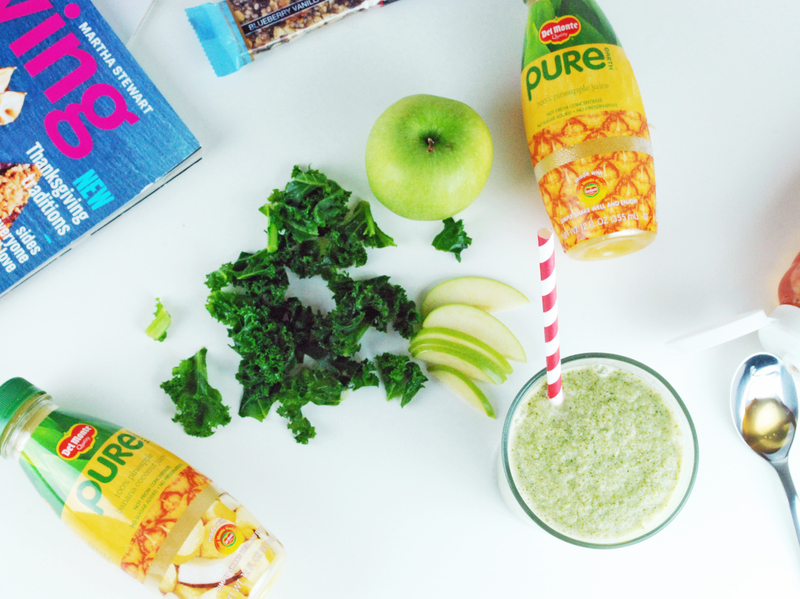 Check out the bottom of this post for a $1 off coupon for any variety of Del Monte Pure Earth juice! This post was sponsored by Del Monte and Pure Earth. All opinions expressed are my own. Gals, how is it February already?! We are now officially in the dead of winter. Hearing about the #SNOWMAGEDDON happening in the Northeast just reinforces my decision to move to California (sorry not sorry)! But even though it’s not freezing temps here in SF, my skin is still flaky and parched. Thankfully, I’ve discovered a new two-product skincare regimen which leaves my face perfectly polished and radiant. Any regimen that only requires two products gets a thumbs up from me! 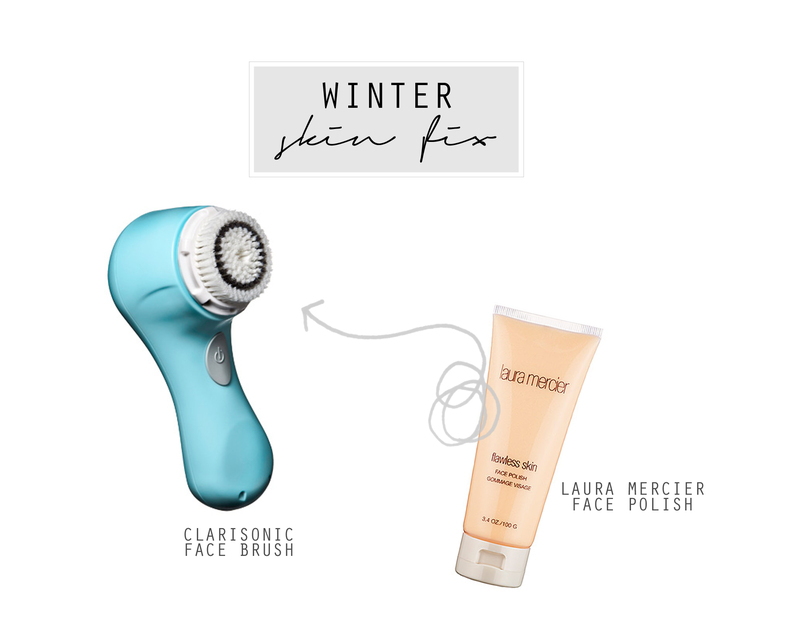 After spending a few minutes in the shower (and letting the bathroom get nice and steamy), squeeze a quarter-sized dollop of Laura Mercier Flawless Skin Face Polish onto the brush head of your Clarisonic. It’s important to choose an exfoliating scrub that has perfectly spherical exfoliating beads – if they’re not 100% spherical, the granules will cause micro-tears in your skin (looking at you, St. Ives)! I tend focus the Clarisonic on my lower cheeks, nose, chin, and forehead, which are the dryest parts of my face. Once the Clarisonic cycle is complete, rinse thoroughly and slather on a thick moisturizer – I’m loving Kiehl’s Ultra Facial Cream right now. 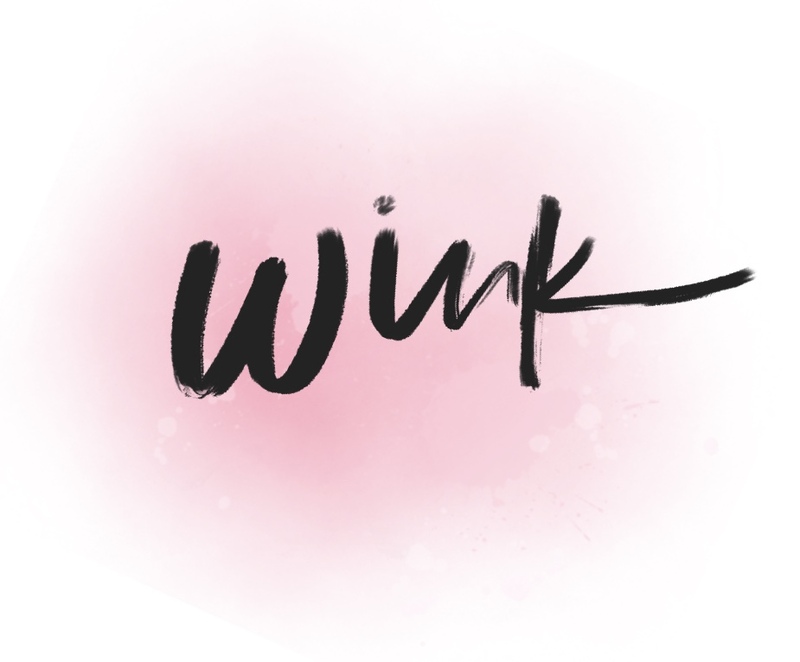 Try to incorporate this step into your regimen once a week and you’ll blast away that dry winter skin for good!